Hello all and welcome back to the Friday Fiction Feature! Sorry for the long delay in posts, but your series editor Tabatha has been busy graduating & getting ready to move far far away. Now that I’m back with a new job in a new country, we’re on a new schedule–the Friday Fiction Feature will now be coming to you only once a month. In the meantime, I have been experimenting with a state wholly unknown to all graduate students–applied laziness (over more than 30 minutes). The secret? BOOKS! I have been reading books! For fun! (Yes, yes, I know that’s rather the point of the FFF, but all the students/academics out there can explain how rare and impressive that is). And so, with a renewed appreciate for how awesome it is to be able to sit back and read, I am back to bring you a few more suggestions for your studiously lazy days. The first book on the list is one that means a lot to me because I only survived graduate school by narrow margin, by which I mean I very nearly ran away to become a pirate about once a week. 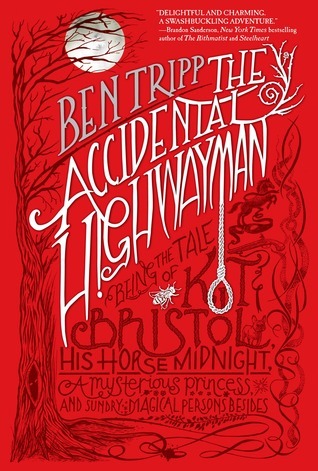 By getting to fight monsters, fate, magic, and a rebellious princess, Kit Bristol the Accidental Highwayman is very literally living the dream. No, this one will not be another description of how I spent my lazy days. (Given teh title, that’s an important promise). This next book is up mostly for a small tangent. In the following summary you will read the description of what sounds like the world’s sturdiest secret society. I cannot draw my mind away from the image of a cult whose motto is “walk away.” This must be the most-populous and longest-lived cult ever formed (allowing for the lowered intake of new members, because it doesn’t have the razmatazz of a cult that actually does something…) because these walk-awayers will never summon a demon (and if they do, I suspect they will promptly find themselves out of its immediate range), they will never incurr the wrath of gods, district attorneys, or impossibly effective mourners-after-the-sacrificed. They will, effectively, be the safest cult ever formed. So if you want the mystique of being in a secret society without all the danger or derring-do of actually being involved in anything at all, Nine Kinds of Naked has just the cult for you! With a severe turn careerwise, Utterly Monkey gives us a thorough path of what to avoid, and what to seek out as we (this being graduation season and all) move away from school (and hopefully our parents’ houses) and towards our dream jobs. Or our close-enough jobs. Or just any job at all really. It seems Danny Williams has made the mistake many a recent graduate has stumbled into–he accidentally became a lawyer, yes, this is….wait, what? Accidentally became a….let’s see…college, law school, the bar exam… yeah… sure, who couldn’t accidentally stumble into that kind of thing… right. Danny Williams didn’t mean to be a lawyer, but somehow he is — and for up to eighteen hours a day. He’s well paid, home owning, and twenty-seven but is also overworked, lonely, and frequently stoned. The plan was to leave the troubles of a small town in Northern Ireland for the big city in England, but one evening an old school friend, Geordie, bursts into Danny’s shiny new life. On the run from a Loyalist militia, Geordie brings everything Danny thought he had left behind and dumps it on his doorstep. 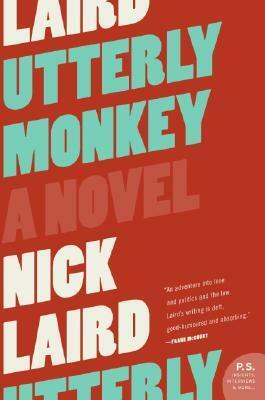 With infectious wit and energy to burn, Utterly Monkey is a searing, fiercely funny, and ultimately redemptive novel about surviving an office job, outwitting the bad guys, and, hopefully, getting the girl. Mystery buffs will be familiar with the this-can’t-be-right-something-must-be-wrong beginning to an investigation. Just the other day I was listening to a mystery where a tone-deaf man hired a detective because someone had hired him as a tuba player, and the devoted musician just knew there could be to legal reason to pay him to play a tuba at a room of unsuspecting listeners. 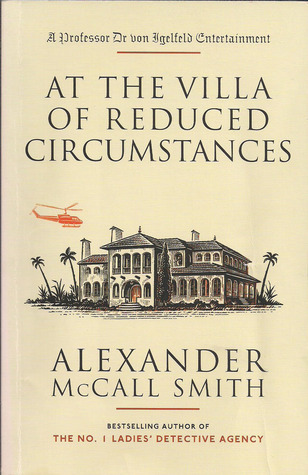 Well, At the Villa of Reduced Circumstances has brought this musical plot into the world of letters and joined together mystery and academe in a way many a published author has dreaded. My more observant readers will probably know that I have a special weakness for cozy mysteries. Inspired by the original Miss Marple (despite Dame Christie’s absolute refusal to give me all the clues!) and moving on to dozens of other set-in-a-small-town, everybody-is-nice-and-a-suspect-and-lying-about-everything, with the necessary inexplicable-importance-of-sewing-or-cooking-to-the-plot, with a mystery which absolutely must be solved by the unassuming-cook/seamstress/old lady/generally innocent _______. On the FFF I get to see all of these opportunities to integrate a real and intriguing mystery into my life in books like Hooked on Murder, without (apparently) having to interrupt my social life at all! Unfortunately, I have yet to become innocently embroiled in a dire mystery that threatens the peacefulness of my small town. I’m beginning to worry that it’ll take until I’m gray-haired and surrounded by cats and baked goods before I’ll get a cozy mystery of my own. Oh well, I guess all I can do now is move to a small town, get far to many pets, take up baking, and hope for the best…or do I mean worst? 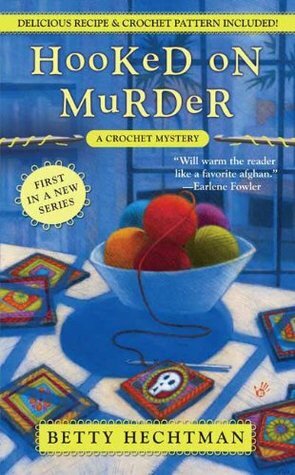 Craft lovers and mystery readers alike will flock to this great new craft-based cozy with a delicious recipe and crochet pattern included! When bookstore event coordinator Molly Pink stumbles across the dead body of a crochet group’s leader, her complicated past with the woman makes her a prime suspect. But while Molly’s fending off a detective with a personal grudge and navigating the pitfalls of crochet group politics, the real killer remains at large. And it’s up to her to catch the culprit before she winds up in a tight knot. Next PostNext Fiction Reboot Author Interview: Barry Lyga, I Hunt Killers Series.